This fantastic flour type is commonly used to make baguettes, croissants, rustic breads, donut bases and more. 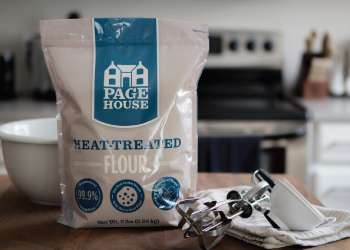 Use this amazing flour to enjoy delicious baked goods year round. Honeyville's Alta Artisan Unbleached Flour is a high quality flour that's similar to a low-protein European style flour. It has less gluten, which helps create crisper crusts and irregular hole structures. This flour type is commonly used to make baguettes, croissants, rustic breads, donut bases and more. While the fiber and protein is low, it does contain high amounts of iron, which is important for red blood cells. Honeyville Alta Artisan Unbleached Flour produces amazing results and is ideal for your baking needs. Shelf-Life: Stores for 1 year in a sealed 3.75 pound bag under ideal storage conditions (cool, dry place). Uses: Used for high quality breads and baked goods, including baguettes, rustic country bread and donut bases. Packaging: Alta Artisan Unbleached Flour in bulk is available in a 3.75 pound bag and a 50 pound bag. Packaging may vary. Allergen information:Contains wheat. 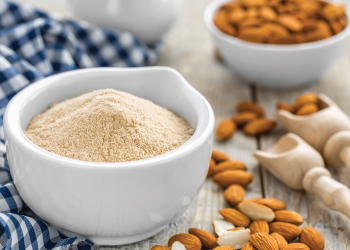 This product is processed on equipment that processes products containing milk, soy, wheat, egg, peanut and treenuts. INGREDIENTS: Enriched Wheat Flour (Wheat Flour, Niacin, Reduced Iron, Thiamine Mononitrate, Riboflavin, Folic Acid), Malted Barley Flour, Ascorbic Acid as a dough conditioner.